Thank you for being around!!! It’s been 4 months now since I created the Facebook group with the only hope to help everyone who are interested in losing weight by using this drink. My initial intentions were to answer questions and give advices about everything concerning the Honey and Cinnamon Drink for weight loss. Subsequently, more and more questions kept rising concerning not only weight loss properties of this amazing drink, but also its many other health benefits, etc. These are some of the most frequently asked questions about Honey and Cinnamon Drink. How to take the Honey and Cinnamon Drink? If you prepare it in the morning – take half (4 oz) of the drink 30 min before breakfast (on an empty stomach) and the other half – a few hours after dinner, before going to bed. !!! That’s it – one cup of 8 oz per day – 4 oz taken in morning and 4 oz taken in the evening !!! * There are variations on how to store and warm the drink before taking it. More details at the end of this post. 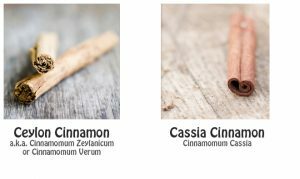 Ceylon Cinnamon vs. Cassia cinnamon – what’s the difference? Coumarin is a chemical compound contained in Cassia (Cinnamomum aromaticum – aka Chinese Cinnamon) and is known to cause liver and kidney damage in high concentrations. What are the proven benefits of Ceylon Cinnamon? Check out the 13 Propen Benefits of Cinnamon including regulating blood sugar, lowering cholesterol and weight loss. Has anyone lost weight with Honey and Cinnamon Drink? Honey and Cinnamon Drink weight loss results – how soon do you see them? Join our facebook group and check what people say about their weight loss results.